In Chinese culture, it is a must to pay your respects to your ancestors. Oftentimes done in the morning, this is the part where you bring out portraits of long-departed family members from several generations back. For some, this usually includes great grandparents or great-great grandparents, depending on how far back you trace your lineage. But how do you invite your ancestors to join you? You light some incense, of course! Then, you cook some food, preferably something they would’ve liked in their lifetime because, after all, you are inviting them to dine. These usually come after the reunion dinner and are perhaps everyone’s favorite part of Chinese New Year, especially the children. Why? That’s because you get envelopes filled with money. Usually, it is the adults who hand out the hongbao. Candidates eligible to receive these hongbao are those who have yet to have a source of income. In other words, it is the children or people who have not started working that get a red envelope. 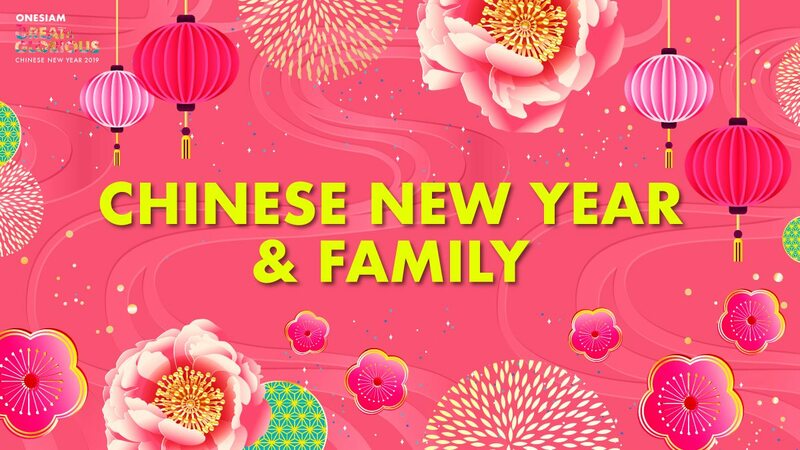 This Chinese New Year is no different, make sure you’re there with your family. In case you can’t remember, this year’s Chinese New Year is on the 5th of February. That’s probably when your reunion dinner will be held. But then again, if your family doesn’t observe Chinese New Year too seriously or they’re not too keen on large family gatherings, it won’t hurt to get together with your own side of the family and enjoy a small, tight-knit meal. And if you’re clueless as to where to eat, OneSiam has a vast selection of dining venues of differing cuisines available for you to choose from, whether it’s at Siam Paragon, Siam Center or Siam Discovery.